I never fully understood the phrase “hit the ground running” until I became an REU student at the Wrigley Institute for Environmental Studies at the University of Southern California. Even before I came to USC last week for our first week of the program, I found myself chatting with my mentors, Dr. Suzanne Edmands and graduate student Patrick Sun, over email in May. There were so many things that had to be decided before the program started — my project and focus for the eight-week program, how I would go about my research project and most importantly, what I would do our first week at USC. Everyone around me, from the Undergraduate Program Director Diane Kim to my mentors and another undergraduate student who had been part of the program last year, told me that the first week was critically intense. Stuck in the middle of the quarter system with midterms, papers and final exams looming around the corner, I obviously didn’t believe them. What was so intense about orientation to research and planning a research project? Apparently everything. After the second day of the program, all eleven of us with scientific projects were running around with our mentors, learning lab techniques and collecting all of the materials we needed for our trip to the island. I had the additional challenge of completing all of my projects with Patrick by Wednesday, the third day, because he was leaving for a conference and Dr. Edmands was already out. Strong communication is key, especially between an REU student and mentor. But since my mentor and I were not able to talk for long, problems that could have been solved with a 10 minute face-to-face conversation expanded into multiple email exchanges. This was especially the case when I started writing down my experimental methods in preparation for a presentation of my project proposal at the end of the second week. In these situations, I learned to organize the content of my emails, adding bulleted lists to aid my mentors in understanding my questions. But the first week wasn’t all work. We got to listen to talks on interesting issues such as that by Dave Caron on harmful algal blooms, and go on a research cruise. Although the motion of the ocean was a true test of the strength of our stomachs and willpower, all us were able to learn about oceanographic equipment that measures different variables of interest like depth and light, while also getting to extract plankton from the water and view it under a microscope. 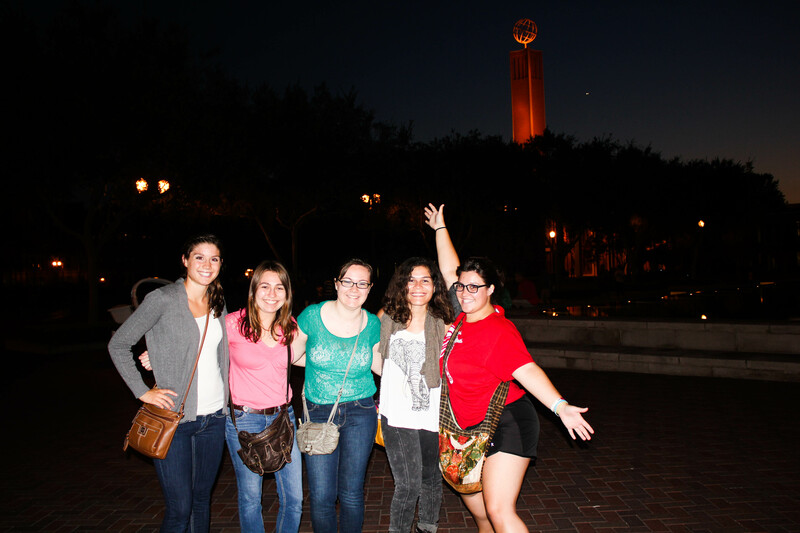 And not everything we did was REU-related — we also took advantage of being in Los Angeles. Some of us took excursions to see Griffith Observatory at night, make a late-night In-n-Out run for the benefit of our out-of-state friends, explore the Natural History Museum and California Science Center, got out to see Hollywood and stumbled upon the Los Angeles Cultural Festival, and even went as far as the Aquarium of the Pacific in Long Beach and the Santa Monica Pier. So although we hit the ground running, after a while we did not feel the strain on our legs and embraced the movement. As I write this, I’m enjoying the last sunlight of our first day on Catalina Island, home for the next six weeks! Personally, I feel like I’m jogging at a little bit of a slower pace. Some of it’s the island, but I’m pretty sure that it’s mainly because we really got working that first week. So yeah, we hit the ground running, but it was all in preparation for a successful research project and poster presentation. Here’s to the next seven weeks of the program, and of course that first week that got us ready for the race to the finish. Yaamini Venkataraman is an REU student and a rising junior at the University of California, San Diego. She will be working in the USC Edmands lab with a graduate student mentor the rest of the summer, studying the effects of shading on copepod mortality. This entry was posted in Undergraduate, Wrigley Institute on June 25, 2014 by Jessica Dutton. New Wrigley Institute Summer Blog! 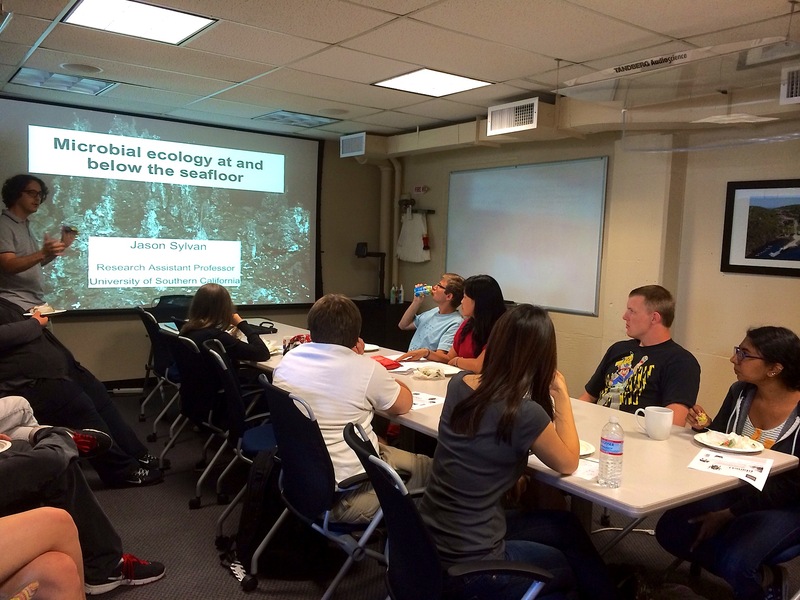 Welcome to our Wrigley Institute Student Research Blog! Here, we feature many of the incredible graduate and undergraduate students conducting research with us throughout the year. 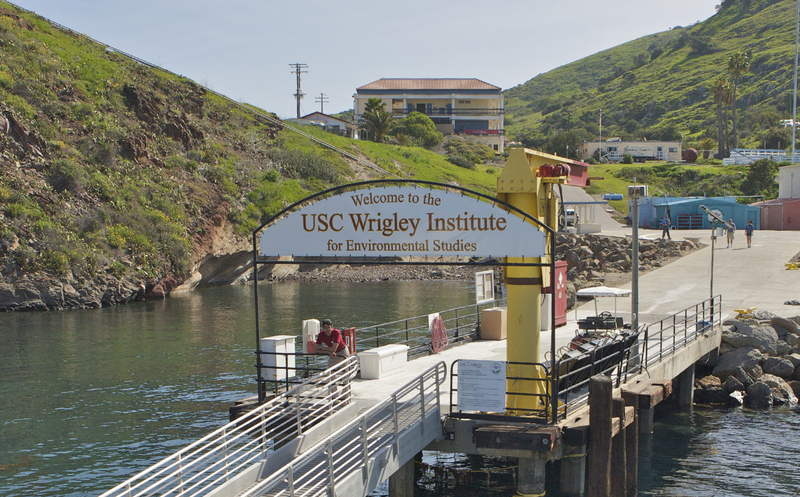 For example, we host about 15 Wrigley Marine Science Center Fellows at Catalina Island each year. 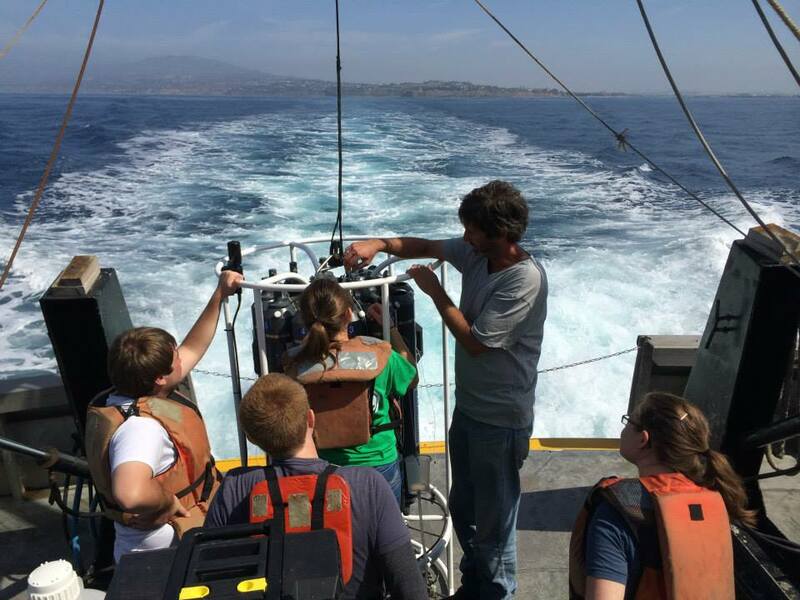 These grad students come from USC and universities across the West Coast to study a variety of environmental topics – from marine ecology to benthic sediments, to ancient water sources used by native peoples, to animal-tracking technologies, and even kelp as biofuel. Back on the mainland, we host the Norma and Jerol Sonosky Fellows. These grad students focus on applied research at the interface of humans and the environment. Through their projects, we are finding new sustainable paths for the future. Our International GeoBiology grads are in full swing every summer too, studying the critical co-evolution of the Earth and it’s living systems. We are also thrilled to welcome REU (Research Experiences for Undergraduates) students to the island each summer. These undergrads from across the country spend 10 weeks learning about Coastal Sustainability research with USC mentors. They are often joined by animation students from USC’s Cinema School or interns from all disciplines engaging with the science teams and contributing their unique skills. As you can see, the Wrigley Institute is always abuzz with activity. Join us as we showcase these students and watch their research projects unfold! This entry was posted in Wrigley Institute on June 23, 2014 by Jessica Dutton.